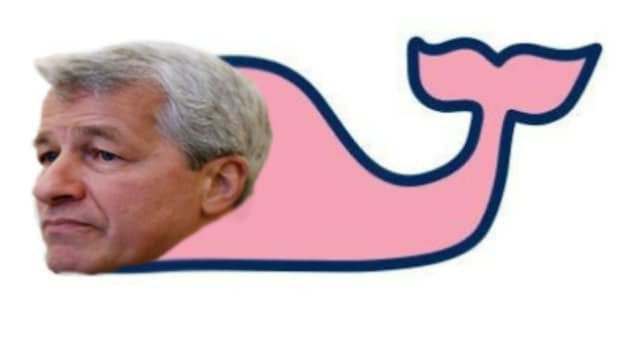 Today U.S. prosecutors charged former JPMorgan CIO traders Javier Martin-Artajo and Julien Grout with various crimes for mis-marking the London Whale structured credit portfolio positions. The complaints are here and here and reading them you get the strong sense that Bruno Iksil, the Whale himself, was the hero of the whole saga. Oh, sure, he built a colossal portfolio of what turned out to be massively money-losing speculative trades, and yes, he did sit by and watch as his boss Martin-Artajo and his underling Grout conspired to mis-mark that portfolio to disguise hundreds of millions of dollars of losses, but: it made him angry.1 So that&apos;s something? Anyway, he is not being charged and is cooperating with authorities, and I guess one benefit of cooperating, in addition to the not prison, is that you come across pretty well in the complaints. 69. On or about April 29, 2012, the Controller Employee spoke with [Martin-Artajo] about the month-end marks in the SCP. MARTIN-ARTAJO told the Controller Employee, in substance, "I&apos;m a trader. I do not mark the books to U.S. GAAP. My job is to manage risk." Hahaha well you were terrible at that, too, but that aside: of course your job is to mark the books to U.S. GAAP!6 Or at least, y&apos;know, to mark your positions correctly: "Under bank policy and U.S. Generally Accepted Accounting Principles (&apos;GAAP&apos;), traders were required to set the value, or mark, for a particular security at a price at which they believed they could exit the position." One thing they had to be thinking was along the lines of "it is someone else&apos;s job to make sure these marks are right, so how much trouble can I really get in?" Grout was just some junior guy doing what his boss told him - how could he get in trouble for marking his boss&apos;s positions where he was told to? Martin-Artajo was ... I mean, you heard his view of the thing: it was Controllers&apos; job to get the marks right. His job was to maximize his P&L, by methods that included persuading Controllers to give him the marks he wanted, but if he did that how could he be responsible for falsifying JPMorgan&apos;s books and records? He didn&apos;t keep the books and records. Iksil, meanwhile, was absolutely convinced that he was participating in a conspiracy to falsify JPMorgan&apos;s books, and it, y&apos;know, made him a little grumpy. Against a backdrop where all of them were already plenty grumpy! Because while they were debating these fine points of valuation, they were also losing billions of dollars and, ultimately, their jobs. At the time they probably thought that was a bigger problem than a few basis points of mis-marking here and there. Now they&apos;ve probably changed their minds. 1.E.g. paragraph 40: "[Iksil] was uncomfortable following the direction from JAVIER MARTIN-ARTAJO, the defendant, not to report losses for more than a brief period of time." Or 44: "During the chat, [Iksil] stated his frustration with JAVIER MARTIN-ARTAJO, the defendant, because the distance between the actual fair value of the securities in the SCP [structured credit portfolio] and the level at which [Grout] had marked the securities, was persisting and even growing." Or "On March 20, 2012, [Iksil] decided that the SCP&apos;s marks had to begin to reflect the market reality, that is, bigger losses in the SCP." [Iksil] told [Grout] that MARTIN-ARTAJO was trying to make the argument to more senior management that the positions in the SCP should be retained. MARTIN-ARTAJO did not want more [senior] management to take away the SCP from CIO, or direct CIO to change its strategy, and reporting additional losses would undermine this objective. 49. On March 20, 2013, JAVIER MARTIN-ARTAJO, the defendant, reacted angrily after he received the document [sent by Iksil to senior management] reporting the single-day loss of $40 million. That same day, in a recorded call between MARTIN-ARTAJO and [Iksil], MARTIN-ARTAJO asked "Why did you do that?" [Iksil] replied, "I thought we should, you know, not do like minus 5 every day but just say okay boom you know there is something happening." MARTIN-ARTAJO responded: "I don&apos;t understand your logic mate, I just don&apos;t understand. I told [my boss], he told me that he didn&apos;t want to show the loss until we know what we are going to do tomorrow [at a scheduled meeting with the Chief Investment Officer]. But it doesn&apos;t matter I know that you have a problem you want to be at peace with yourself ... I didn&apos;t want to show the P&L and [my boss] told me yesterday not to do it. So okay, we&apos;re just going to have to explain that this is getting worse, that&apos;s it." [Iksil] then pointed out the portion of the commentary in which he had described the lag in P&L [i.e. difference between marks and "true" marks] as reaching as high as $800 million, and MARTIN-ARTAJO responded: "You&apos;re losing your mind here, man, you&apos;re sending an email that you would get, what is this 800 [million] bucks ... [T]his is just what we explain tomorrow you don&apos;t need to explain in an email man ... [W]hy do you do it today when we are going to explain it tomorrow?" This goes on, incriminatingly ("What happens if [the Chief Investment Officer] tells me that we cannot keep going long?," asks Martin-Artajo), but let me answer that "Why email today when we&apos;ll explain tomorrow" question for Martin-Artajo: because if you write that email, your odds of being the unindicted cooperator go way, way up. Iksil was no dummy. 4.We talked about it here; note that CIO Ina Drew "said she had never before seen that type of &apos;shadow P&L document,&apos;" which is not a great fact. It&apos;s discussed in paragraphs 40-42 of the Grout complaint; Iksil repeatedly asked Grout to send it to Martin-Artajo, I guess to spur his conscience. 46. Also on March 16, 2012, [Iksil] relayed prices at which he had traded certain securities to [Martin-Artajo]. Based on those fresh transaction prices, [Iksil], in an online chat with [Grout], told [Martin-Artajo] that the marks for CDX.NA.IG9, five year maturity, should be at 72; the marks for CDX.NA.IG9, seven year maturity, should be at 88; and the marks for the CDX.NA.IG9, ten year maturity should be at 110. GROUT responded that he agreed and would mark those securities as [Iksil] had indicated. In fact, however, GROUT skewed the marks in an even more favorable way for JPM than [Iksil] had suggested: for the CDX.NA.IG9, five year maturity, at 70.25; for the seven year maturity, at 85.75; and for the ten year maturity, at 107.25 - in each case, marking in a direction favorable to the SCP&apos;s P&L, and an additional two and three quarters basis points away from where GROUT told [Iksil] he would mark. Incidentally the "even more favorable" there refers to the fact that the Justice Department thinks Iksil&apos;s trades were to "defend his position," i.e. get a better print than the market mids indicated, so Iksil&apos;s marks were already aggressive. 6.In fact, amazingly, Grout and Martin-Artajo are charged with "ma[king] and caus[ing] to be made statements in reports and documents filed with the SEC ... which statements were false and misleading," though obviously they didn&apos;t, like, write the 10-Qs themselves.